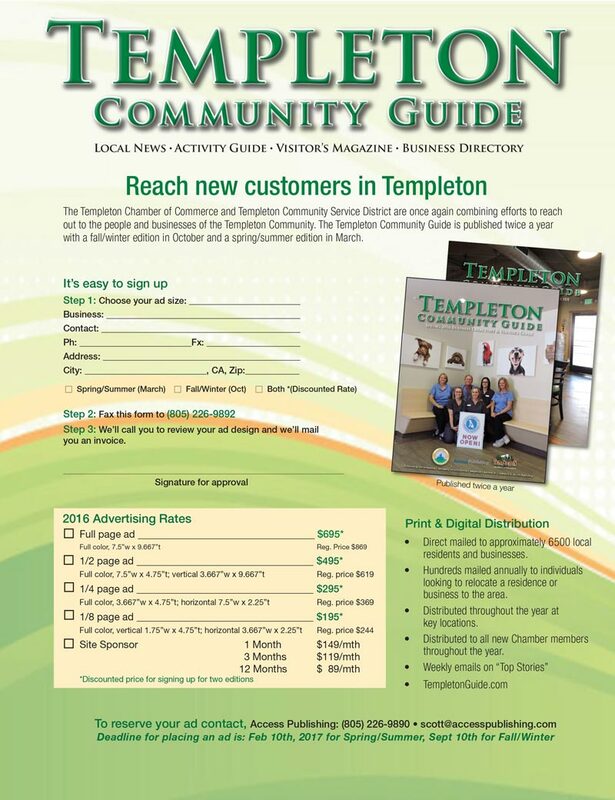 The Templeton Chamber of Commerce and Templeton Community Service District are combining efforts with Access Publishing to produce the fall edition of the Templeton Community Guide. Deadline for advertising is Feb. 24. 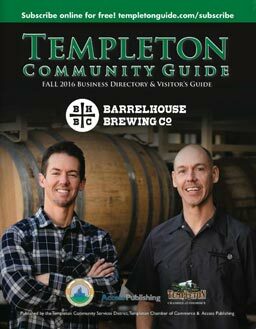 The guide is published twice a year with a spring/summer edition in March and a fall/winter edition in October. It serves as the town’s activity guide, with parks and recreation information; a local business directory; a visitor’s guide; and the number one source of local news and events. Click here to flip through the last edition. • Resource mailed to all local residents and businesses. • Expanded news and event content. • Business and residential relocation guide. • Chamber membership listing by category. • Mailed to 6500 local residents and businesses. • Distributed throughout the year at key locations. • Distributed to all new Chamber members. • Hundreds mailed annually to individuals looking to relocate a residence or business to the area. To reserve your ad space, call Access Publishing at (805) 226-9890.